Going back to school is a big decision. It’s important to weigh your options and determine if the risk is worth the reward. After all, you’re looking to establish a career, not just land another job. 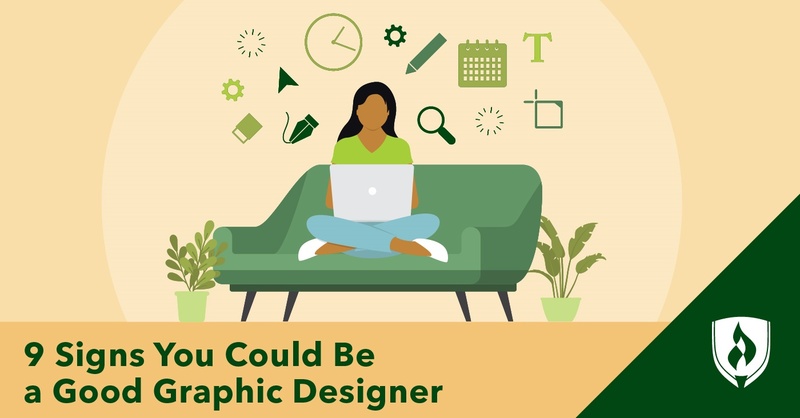 You may have thought about becoming a graphic designer, but you’re just not sure if you’d be a good fit. Wouldn’t it be nice if you could look into the future and find your answer? We don’t have a crystal ball, but we do have some insight from graphic design pros that could help you make your decision. With that in mind, we compiled a list of seven qualities that make a good graphic designer, according to the pros. Who knows? You may already be better equipped than you think. You like people. And, even better, people like you. You’ve learned to understand what others are trying to say rather than what they tell you, and that quality makes it easy for people to connect with you. When you explain something to friends, you can tell if they aren’t following and you can change your approach to help them understand. This ability is one that can prove valuable in a graphic design career. “You must learn to listen to what your clients want. And you must have the skill to encourage them to give you as much to go on as possible,” Solomon explains. What’s even more helpful is the ability to deliver difficult information tactfully. Solomon says designers need to be able to give the client realistic information without appearing condescending. “It is not easy to tell a client that they cannot expect a Ferrari on a Volkswagen budget,” he says. Above all, your communication should always be respectful and professional. Learning is a passion for you. You’ve never needed people to tell you to keep growing as a professional and as a person because it’s always been a high priority for you. You have the motivation to get off the couch and use your free time to better yourself. “In many companies and agencies, graphic designers are ultimately accountable for their own work,” says Pablo Benites, graphic designer for TinderPoint. “As a result, feedback from colleagues is normally very generic and lacks the specific skills-based targets needed to improve.” Benites says the best graphic designers will avoid professional stagnation by proactively self-critiquing and seeking professional development. When you are up to your eyeballs in projects, learning new techniques and keeping an eye on the future tends to end up on the back burner. But, for many designers, there will always be more on the to-do list. Developing new skills and learning in your industry is an important practice to build in. Your life is a constant juggling act. Between family obligations, housework, a job, the occasional Thursday happy hour and catching up on your favorite shows, you’ve got a ton on your plate, but it never seems to faze you. In fact, you kind of enjoy the fast-paced lifestyle you’ve created and wouldn’t even know what to do with a day off. Graphic designers are rarely focused on one task at a time. Rather, they often find themselves handling multiple projects all at different stages with different clients. It’s imperative that you can effectively manage several things at once. He believes accurately prioritizing tasks and seeking constant feedback on the progress of your work helps speed up turnaround times and keeps clients happy. You appreciate the unusual and unexpected sights in your day. You get tired of approaching a problem or task in the same way over and over again, so you try to come up with new ways to do things. You love mixing and matching new styles and repurposing old pieces to breathe new life into them. 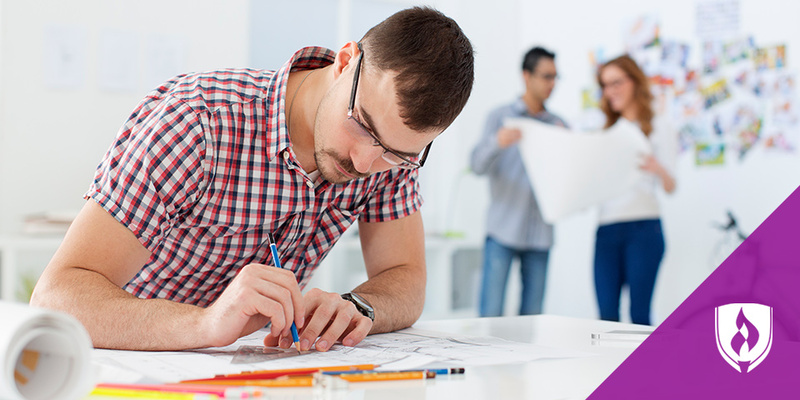 Unsurprisingly, creativity is high on the list of skills a great designer must possess. But it’s more complex than you might think. The creativity you need as a graphic designer spans far beyond just matching colors and choosing typography. You’ll also be tasked with coming up with creative solutions to complex business problems, explains designer Rob Stephens. You enjoy reading books, not because you have to, but because you want to. On any given night, you can be found scouring Pinterest for the newest innovations. New trends and technologies pique your interest and you enjoy pushing your limits. “Above all, a designer must be curious,” says Kristen Friend, Art Director for Custom Legal Marketing. Trends and tools are always in flux. If a designer stays stagnant and doesn’t evolve with the industry, they risk becoming obsolete. If you have dinner plans at 7:00, you’re there at 6:45. You wouldn’t dare show up late to a meeting or event and you’re never late paying your bills. Part of maintaining your busy schedule means keeping an organized calendar and managing your time wisely. The world of graphic design is driven by harsh deadlines. If you can’t keep up in a fast-paced environment, you may find yourself losing work, losing clients and, worst of all, losing paychecks. Successful graphic designers need to thrive when working under pressure. “Meeting deadlines is critical to the success of a graphic designer and obtaining the trust of your future clients,” Stephens says. “You must commit to deadlines and should there be a reason the deadline won’t be met, then you must notify the client as soon as possible.” He goes on to explain that clients are often understanding of delays if communication is prompt (especially if the hold-up isn’t your fault). You’re a resilient person, so it takes a lot to hurt your feelings. Life has thrown its share of obstacles your way but you’ve always picked yourself up, dusted yourself off and kept moving forward. You’re independent and self-reliant. The graphic design industry can be cut-throat, so it’s important to have thick skin. If a client gives you negative feedback about a design you’ve poured your heart into, you can’t take it personally. Successful designers don’t dwell on a single project—they move on and focus on the next one. “Resilience is as much of a part of your life as a designer as it is when you are just starting out,” says Robyn Strafford, UX & Web Designer at Bowler Hat. Strafford says graphic designers can expect to experience criticism on every project and just have to take it in stride and work to produce a satisfying outcome. “Having the resilience to continue trying is the most important skill a designer must have,” she adds. These are just some of the qualities good graphic designers share. Can you relate to any of the descriptions above? You may not align with all seven, but if a handful of these characteristics describe you, then you may be a natural fit in the world of graphic design. 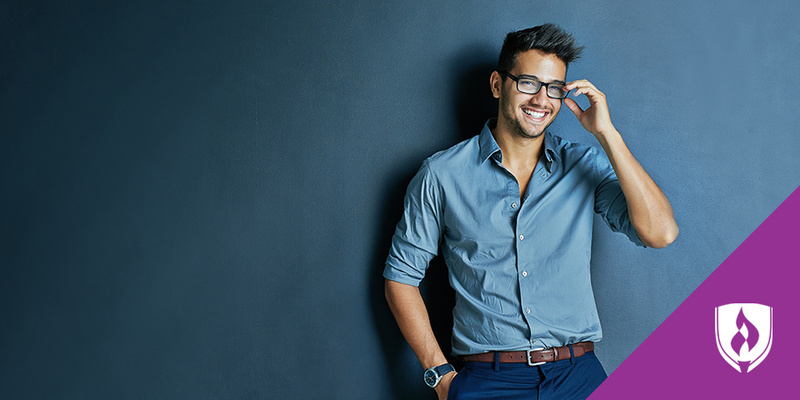 Once you pair these soft skills with the necessary technical skills, you’ll be equipped to find success in the field. Wondering what it’s really like to work in this fast-paced industry? Check out our article, What I Wish Someone Had Told Me BEFORE Becoming a Graphic Designer. Is a Graphic Design Degree Worth it or Worthless? EDITOR’S NOTE: This article was originally published in May 2015. It has since been updated to include information relevant to 2017. Brianna is a content writer for Collegis Education who writes student focused articles on behalf of Rasmussen College. She earned her MFA in poetry and teaches as an adjunct English instructor. She loves to write, teach and talk about the power of effective communication. 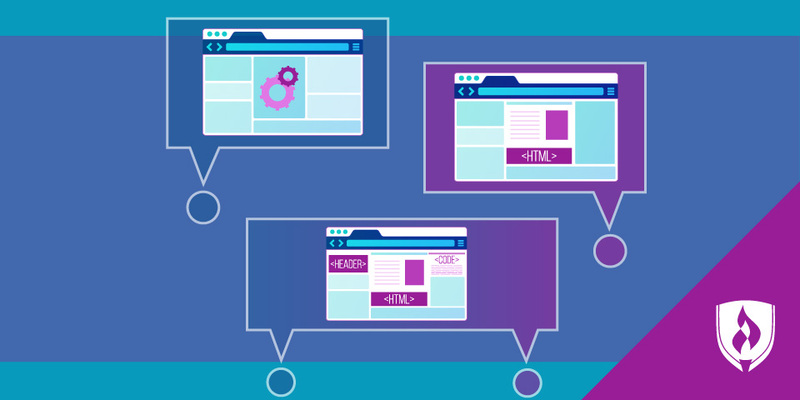 Do You Have What It Takes to Become a Web Designer?